They say the best things come in threes but with regard to my most recent reads, I have to disagree—they come in twos. 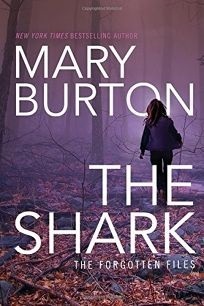 I say this because two new romantic suspense novels from Mary Burton landed in my lap, VULNERABLE and THE SHARK. VULNERABLE is book #4 of her Morgans of Nashville series, while THE SHARK is book #1 of her Forgotten Files series. In VULNERABLE, forensic technician Georgia Morgan and Detective Jake Bishop are working a cold case. Three teens have disappeared on a hike and only one was ever found, injured and suffering from amnesia. When another woman’s body is found, it leads to the missing teens’ remains and the unravelling of deadly secrets that ensnare Georgia too. THE SHARK introduces us to Virginia state trooper Riley Tatum and former FBI agent Clay Bowman. Riley’s past as a teenage runaway and victim of a horrible crime comes back to threaten her again with an unsolved case of a serial killer nicknamed the Shark—and she is his next prey. 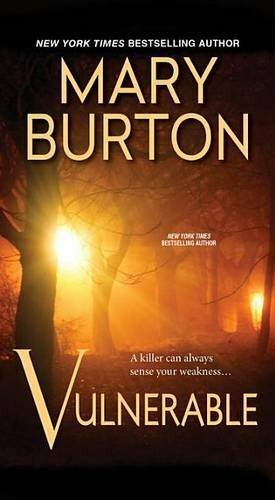 As one would expect with Burton, both are terrific, suspenseful reads. VULNERBALE is of course the last in a series. I haven’t read the other three but it didn’t detract at all from its impact as it works as a standalone novel. Great for me as a reader, but I asked Burton if coming to the fourth in a series is a challenge to her as a writer. I can certainly concur with the surprise element—there was a lot I certainly didn’t see coming. I can guarantee plenty of shocks in THE SHARK, too, the first in the Forgotten Files series. Starting a series brings different demands for Burton. “There’s a lot of research and discovery when I’m writing the first book. I’m getting to know the jurisdiction and laws as well as the geography of the city. I’ll travel to the new location and spend a couple of days walking and driving around the area to capture its nuances,” she says. As well as unfamiliar places, there are unfamiliar faces, requiring more development at the start of the book. Burton’s work on her characters clearly pays off. Her female protagonists are strong, capable career women working in the fields of law enforcement. VULNERABLE’S Georgia Morgan is a forensic technician and THE SHARK brings us Virginia state trooper Riley Tatum. 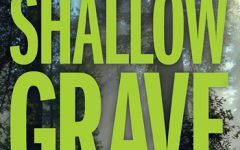 Jake Bishop and Clay Bowman are romantic suspense heroes we can root for and Burton is clear about the key elements that make them so. Given how well she writes women in these demanding roles, I wondered if Burton had ever considered a similar career path. Speaking of plotting, Burton’s twists and turns are impressive but it’s relieving to hear that she wrestles with them as much as every other thriller writer. This “head in the clouds” plotting has been happening since 2000, when Burton debuted as a novelist. 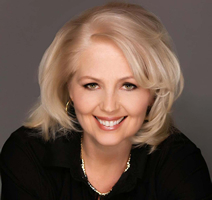 Twenty-nine published books and five novellas later, she is a New York Times and USA Today bestseller. Here, she dishes out some practical advice for those who are just starting out. Perhaps a final lesson from Burton’s huge success. Her head may be in those plotting clouds—but her fingers are right on that keyboard. 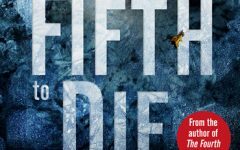 New York Times and USA Today bestselling suspense author Mary Burton’s writing has been compared to the works of James Patterson, Lisa Gardner, Lisa Jackson and Steig Larson. Her new novel, THE SHARK, the first of her Forgotten File novels, debuts May 24th, following the success of her recent books Vulnerable, I’ll Never Let You Go, Cover Your Eyes and Be Afraid. Mary is the author of twenty-nine published novels and five novellas. In addition to her “Morgan Family” books, Mary’s other “connected” stories include The Seventh Victim, No Escape and You’re Not Safe, featuring investigators from the Texas Rangers and Senseless, Merciless and Before She Dies, all set in Alexandria, Virginia. Her short story, The Keepsake, is featured along with those by Jeffrey Deaver, Anne Perry and others in the recently published anthology Killer Nashville Noir: Cold Blooded. A Richmond native with family roots as deep as the nation’s, Mary has made her home there for most of her life. She is also writes contemporary women’s fiction as Mary Ellen Taylor. To learn more about Mary, please visit her website. E.M. Powell’s historical thriller Fifth Knight novels have been #1 Amazon and Bild bestsellers. Her new Stanton & Barling medieval murder mystery series starts with THE KING’S JUSTICE, which is due for release in 2018. Born and raised in the Republic of Ireland into the family of Michael Collins (the legendary revolutionary and founder of the Irish Free State), she lives in northwest England with her husband, daughter and a Facebook-friendly dog. As well as contributing to The Big Thrill, she blogs for English Historical Fiction Authors and is the social media manager for the Historical Novel Society. Find out more by visiting www.empowell.com or follow her on Twitter @empowellauthor.